Ghost Hunting Theories: Kapala: Tool For Mind Travel? 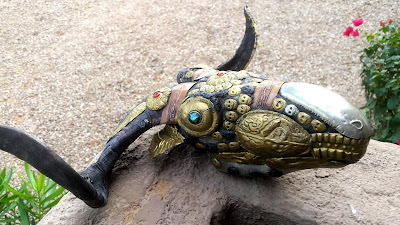 Kapala: Tool For Mind Travel? 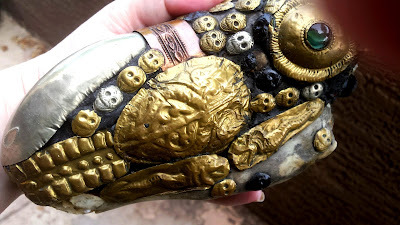 I have had a chance to look at this Kapala (Tibetan ceremonial skull) up close. 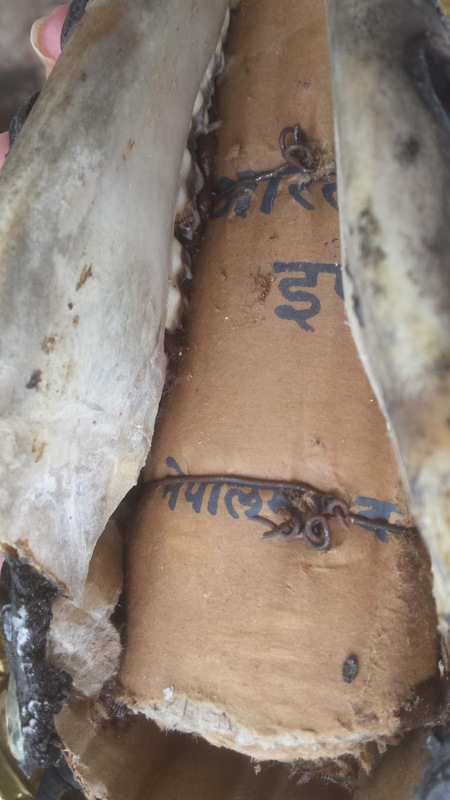 These are used for higher tantric levels to achieve transcendental state. 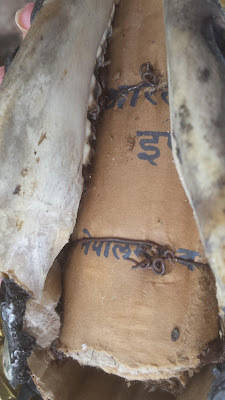 Within the skull I found rolled up and bound cardboard for stabilizing with Nepalese writing on it. As a psychometrist, I can say that I was thrilled to get a chance to visit with this and get a read on it. It is a black soundless wind, very masculine energy, and would make an ideal astral projection activation device. To some, these are idols and catalysts for a spiritual journey to others antiquated primitive genie lamps. To me, it is a dense concentration of much meditation and many higher states of mind and that creates a very powerful tool. I would like to thank the researcher who allowed me to hold and examine it.